A lot of accidents are tragic and nothing can stop them from happening. However, when everyone is doing their best to keep the road a safe place, there are many potential accidents that we can actually prevent. Defensive drivers know the right things to do in order to save lives on the road. What is a defensive driver? It is simply someone who makes it their aim to be safe a courteous on the road. To help you be one of them, here are some of the best driving habits of people who don’t cause accidents. It’s difficult for other drivers to share the road if they do not know what you intend to do. 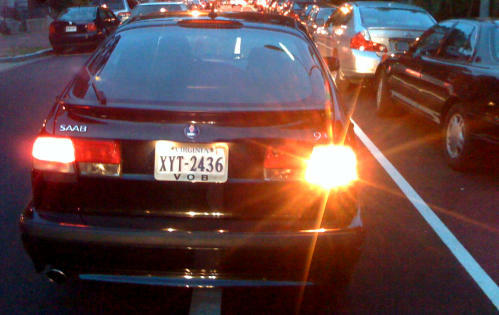 Using your turn signal is a crucial habit that is too often forgotten. While it is only a small act, it can prevent a serious number of accidents. Defensive drivers know when to let go of road rage and aggressive driving. While obeying the right of way is always important–and should be your default–occasionally you have to make concessions on the road, and let another driver who made a mistake cut in front of you. Even if you know they are in the wrong, it is not worth causing an accident to prove it. Whether it is driving too fast or too slow, going against the flow of traffic is actually incredibly dangerous. If the speed limit is 70mph, and you are in the far left lane driving a casual 50 while everyone else keeps up to speed, you risk another driver not seeing you, and causing a freeway pile-up. Distracted driving is now as serious a problem as drunk driving in the United States. Put your phone away, and don’t look at it when you drive. But that does not mean that drunk driving is not a problem anymore. On the contrary, it is still a serious issue. Various car sharing apps are seeking to rectify this problem, so next time you go out, remember not to drive! Drowsy driving is a lesser known, but still serious issue. If you do not think that you are well rested enough to drive, don’t. If you feel yourself nodding off behind the wheel, pull over and rest up before it becomes a dangerous situation. On some occasions, a car that is poorly maintained will cause dangerous circumstances for a driver, and those around. Properly maintaining your vehicle–especially your lights–can prevent serious and potentially life-threatening problems on the road. Don’t forget that you can still enter our giveaway, and win a set of Bose earphones and a car bluetooth kit by liking us on Facebook!